Controversial TV personality and commentator Bill O’Reilly, host of “The O’Reilly Factor,” was ousted from FOX News on Wednesday, Apr. 19, 2017, following mounting scrutiny over inappropriate behavior and allegations of sexual harassment. The 67-year-old political pundit was apprised of the cable news network’s decision while en route to the U.S. after vacationing in Italy. The Conservative-leaning O’Reilly started out in the news business as a reporter for several local television stations in the United States during the late ’70s and 1980s, eventually landing positions with CBS News and ABC News. From 1989–1995, he anchored the news magazine program “Inside Edition.” This was followed by his move to the newly formed FOX News, where he hosted the political commentary program, “The O’Reilly Factor,” on the fledgling news channel from 1996–2017. The program proved to be a launching pad for the opinionated host and a ratings darling that catapulted FOX News’ ascension into the political news arena. The polarizing figure’s downfall was set in motion approximately one month ago, thanks to a New York Times investigation that revealed five settlements by O’Reilly and FOX News Channel stemming from allegations of sexual harassment brought via FOX employees over a 15-year period. According to reports, FOX and O’Reilly paid out $15 million in hush money for his accusers’ silence. However, it was a sixth, uncompensated accuser, Wendy Walsh, a former guest on O’Reilly’s program, who is believed to be the source of his undoing. Unlike the other accusers in question who received settlements for their complaints, Walsh never sued, settled with, or signed any non-disclosure agreements with O’Reilly and the network. As a result, she was free to speak in public regarding her allegations. Following the publication of the story in the New York Times, advertisers began to pull their support for O’Reilly’s show and pressured the network for his removal. This situation worsened as Walsh held press conferences and gave interviews. On Tuesday, April 18, another accuser, whose identity has not been revealed, came forward to complain about racial and sexual comments made against her by O’Reilly in 2008. Ultimately, this chain of events led the Murdoch Family, which controls FOX, FOX News Channel, and 21st Century FOX, to sever ties with O’Reilly. In their minds, O’Reilly is perceived as vulnerable to further complaints and the media circus surrounding the allegations, as well as the network’s knowledge of and complicity in the host’s past indiscretions, have rendered him damaged goods in advertisers’ eyes. It is also important to note that this latest media firestorm is yet another blemish to FOX, which is still recovering from last summer’s sexual harassment scandal involving its co-founder and then-chairman, Roger Ailes, who also stepped down and was forced to cut ties with the company in the wake of his actions. As nearly two decades of sexual harassment allegations and questionable behavior are brought to the forefront, outspoken TV host and political commentator Bill O’Reilly, host of “The O’Reilly Factor,” found himself ousted from FOX News on Wednesday, Apr. 19, 2017, following widespread media pressure, boycotts from advertisers, and calls for O’Reilly’s firing from various sectors. Sources say the 67-year-old TV personality was not directly involved in discussions with FOX News regarding his recently renewed contract, which was signed just last month and would have netted him $18 million a year for the next three years, and fate at the network. Instead, his attorney, Fred Newman, conducted the talks and informed O’Reilly of the cable news channel’s decision while he was returning home to the U.S. after vacationing in Italy. Mother Jones–It’s Official. 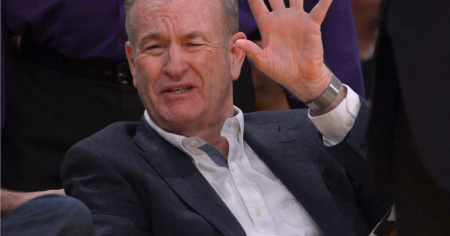 Bill O’Reilly Is Out at FOX News.